This course focuses on the interaction of chemical engineering, biochemistry, and microbiology. Mathematical representations of microbial systems are featured among lecture topics. Kinetics of growth, death, and metabolism are also covered. Continuous fermentation, agitation, mass transfer, and scale-up in fermentation systems, and enzyme technology round out the subject material. This is an introductory course in biochemistry, designed for both biology and chemical engineering majors. A consistent theme in this course is the development of a quantitative understanding of the interactions of biological molecules from a structural, thermodynamic, and molecular dynamic point of view. A molecular simulation environment provides the opportunity for you to explore the effect of molecular interactions on the biochemical properties of systems. This course assumes that students have taken introductory chemistry, including basic thermodynamics, as well as introductory organic chemistry. An introductory biology course is not a prerequisite for the course, but students would benefit from some prior exposure to biology, even at the high school level. Required mathematical skills include simple algebra and differential calculus. This subject deals primarily with kinetic and equilibrium mathematical models of biomolecular interactions, as well as the application of these quantitative analyses to biological problems across a wide range of levels of organization, from individual molecular interactions to populations of cells. This course will help learners become intelligent users and consumers of these models. To this end, we will cover the basic elements of modeling – how to formulate a model and how to use and interpret the information a model produces. The course emphasizes “learning by doing” so that students will be expected to formulate, solve, and interpret a number of different optimization and simulation models using Excel spreadsheets. An important theme in the course is to understand the appropriate use of models in business and the potential pitfalls from using models incorrectly or inappropriately. The first half of the course we will cover supervised learning techniques for regression and classification. In this framework, we possess an output or response that we wish to predict based on a set of inputs. We will discuss several fundamental methods for performing this task and algorithms for their optimization. Our approach will be more practically motivated, meaning we will fully develop a mathematical understanding of the respective algorithms, but we will only briefly touch on abstract learning theory. In the second half, we shift to unsupervised learning techniques. In these problems the end goal less clear-cut than predicting an output based on a corresponding input. We will cover three fundamental problems of unsupervised learning: data clustering, matrix factorization, and sequential models for order-dependent data. Some applications of these models include object recommendation and topic modeling. A Well Designed Program for Professionals to Learn Mathematics Used by Enterprises to Manage Business Operations. Sal working through the 53 problems from the practice test available at http://www.cde.ca.gov/ta/tg/hs/documents/mathpractest.pdf for the CAHSEE (California High School Exit Examination). Clearly useful if you're looking to take that exam. Probably still useful if you want to make sure you have a solid understanding of basic high school math. CAHSEE Practice: Problems 1-3. CAHSEE Practice: Problems 4-9. CAHSEE Practice: Problems 10-12. CAHSEE Practice: Problems 13-14. CAHSEE Practice: Problems 15-16. CAHSEE Practice: Problems 17-19. CAHSEE Practice: Problems 20-22. CAHSEE Practice: Problems 23-27. CAHSEE Practice: Problems 28-31. CAHSEE Practice: Problems 32-34. CAHSEE Practice: Problems 35-37. CAHSEE Practice: Problems 38-42. CAHSEE Practice: Problems 43-46. CAHSEE Practice: Problems 47-51. CAHSEE Practice: Problems 52-53. 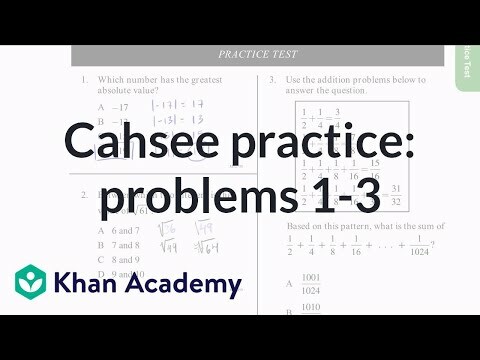 CAHSEE Practice: Problems 1-3. CAHSEE Practice: Problems 4-9. CAHSEE Practice: Problems 10-12. CAHSEE Practice: Problems 13-14. CAHSEE Practice: Problems 15-16. CAHSEE Practice: Problems 17-19. CAHSEE Practice: Problems 20-22. CAHSEE Practice: Problems 23-27. CAHSEE Practice: Problems 28-31. CAHSEE Practice: Problems 32-34. CAHSEE Practice: Problems 35-37. CAHSEE Practice: Problems 38-42. CAHSEE Practice: Problems 43-46. CAHSEE Practice: Problems 47-51. CAHSEE Practice: Problems 52-53. In this course, we go beyond the calculus textbook, working with practitioners in social, life and physical sciences to understand how calculus and mathematical models play a role in their work. How Einstein’s Energy Equation, E=mc2 is an approximation to a more complicated equation. With real practitioners as your guide, you’ll explore these situations in a hands-on way: looking at data and graphs, writing equations, doing calculus computations, and making educated guesses and predictions. This course provides a unique supplement to a course in single-variable calculus. Key topics include application of derivatives, integrals and differential equations, mathematical models and parameters. This course is for anyone who has completed or is currently taking a single-variable calculus course (differential and integral), at the high school (AP or IB) or college/university level. You will need to be familiar with the basics of derivatives, integrals, and differential equations, as well as functions involving polynomials, exponentials, and logarithms. This is a course to learn applications of calculus to other fields, and NOT a course to learn the basics of calculus. Whether you’re a student who has just finished an introductory Calculus course or a teacher looking for more authentic examples for your classroom, there is something for you to learn here, and we hope you’ll join us! If you do not wish to use the Desmos platform or view content hosted by Desmos, you may not be able to complete the course. This course does NOT require you to make your own individual user account on Desmos. Desmos is a separate entity and is not directly affiliated with HarvardX or edX. Prof. McKernan would like to acknowledge the contributions of Lars Hesselholt to the development of this course. This course covers cells and tissues of the immune system, lymphocyte development, the structure and function of antigen receptors, the cell biology of antigen processing and presentation, including molecular structure and assembly of MHC molecules, the biology of cytokines, leukocyte-endothelial interactions, and the pathogenesis of immunologically mediated diseases. The course is structured as a series of lectures and tutorials in which clinical cases are discussed with faculty tutors. 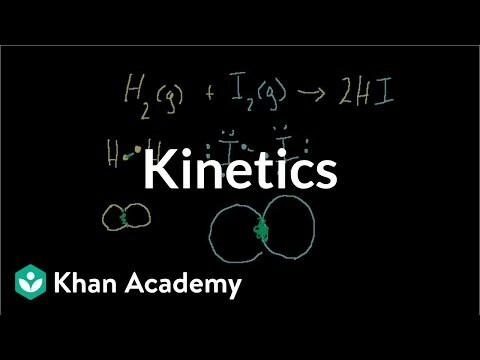 Introduction to Kinetics. Reactions in Equilibrium. Mini-Video on Ion Size. Keq Intuition (mathy and not necessary to progress). Keq derivation intuition (can skip; bit mathy). Heterogeneous Equilibrium. Le Chatelier's Principle. Introduction to pH, pOH, and pKw. Introduction to Kinetics. Reactions in Equilibrium. Mini-Video on Ion Size. Keq Intuition (mathy and not necessary to progress). Keq derivation intuition (can skip; bit mathy). Heterogeneous Equilibrium. Le Chatelier's Principle. Introduction to pH, pOH, and pKw. In this college level Algebra course, you will learn to apply algebraic reasoning to solve problems effectively. You’ll develop skills in linear and quadratic functions, general polynomial functions, rational functions, and exponential and logarithmic functions. You will also study systems of linear equations. This course will emphasize problem-solving techniques, specifically by means of discussing concepts in each of these topics. Content in this course will be adaptive, allowing you to achieve mastery in a certain concept before moving on to the next. Utilizing the ALEKS learning system, students in this personalized, self-paced course will be instructed on the topics they are most ready to learn while also providing individualized coaching as you move through each topic. This 3 credit hour course satisfies the Mathematical Studies (MA) general studies requirement at Arizona State University. This course may satisfy a general education requirement at other institutions; however, it is strongly encouraged that you consult with your institution of choice to determine how these credits will be applied to their degree requirements prior to transferring the credit.